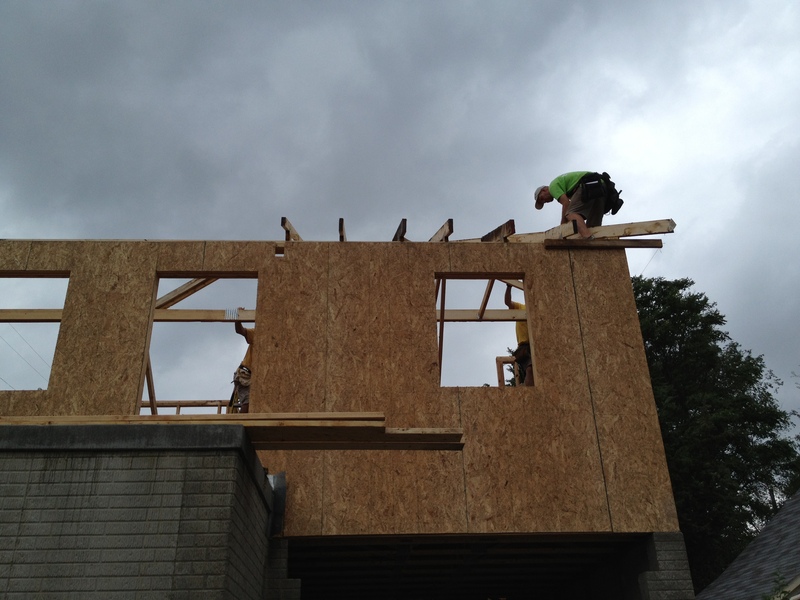 The Neighbors South Habitat Coalition build for 2016 has begun! We will be working on rehabbing a home at 3319 S 20th Street for Maggie Ortega and her three daughters, Nathalia, Gabriella and Samantha. The first thing Maggie would like to do in her new house is cook a big family dinner and enjoy eating around the dining room table together with her three daughters. The work day begins at 8:30am and concludes about 4:00pm. 10 volunteers a day are needed and welcomed, and work continues every Friday and Saturday (except Memorial Day and July 4th weekends). Please call the Grace Lutheran office at 402-341-7730 if you have questions, would like to volunteer, or help in some other way. The dedication ceremony will be held on Sunday, August 10, 2 pm. The address of the home is 2451 South 17th St. Come join in the celebration! 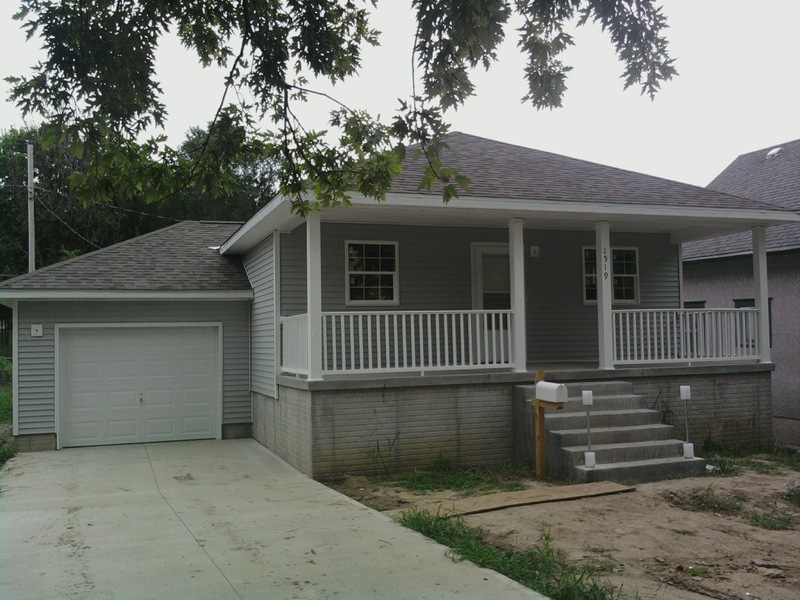 Neighbors South Coalition will dedicate their 15th home on Sunday, August 18. The dedication is scheduled for 2 pm. Come celebrate with the family and volunteers! 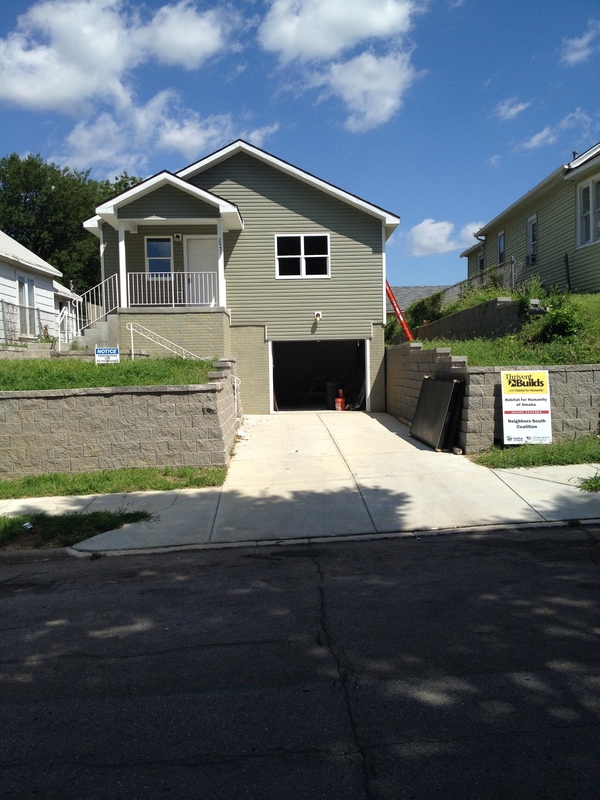 The work on the fifteen home built by Neighbors South Coalition is complete. The home is at 4123 South 38th Street. The new family chosen for the home is David Mushwas and Miriam Yunis and their four children. They came to Omaha 6 years ago from the Blue Region of the Sudan. 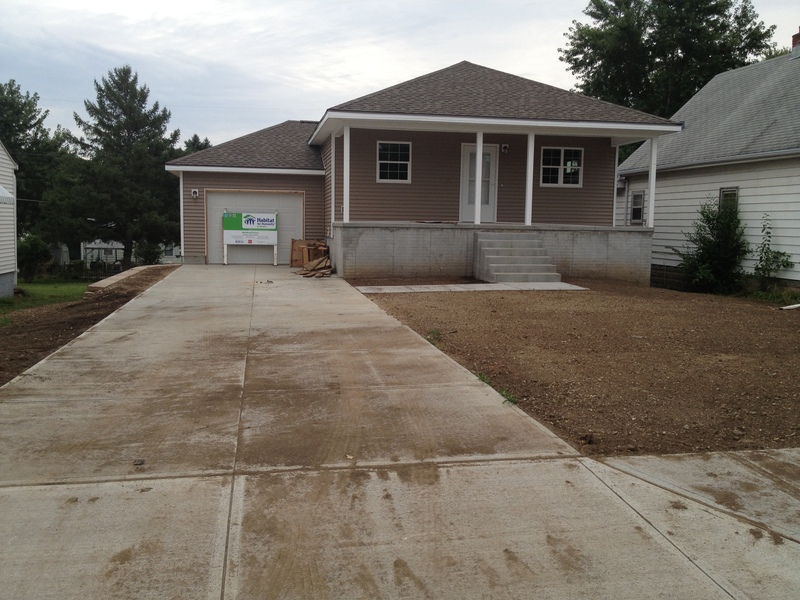 Dedication of the new home will be in August. Special thanks to our dedicated volunteers and our donors who make this possible. 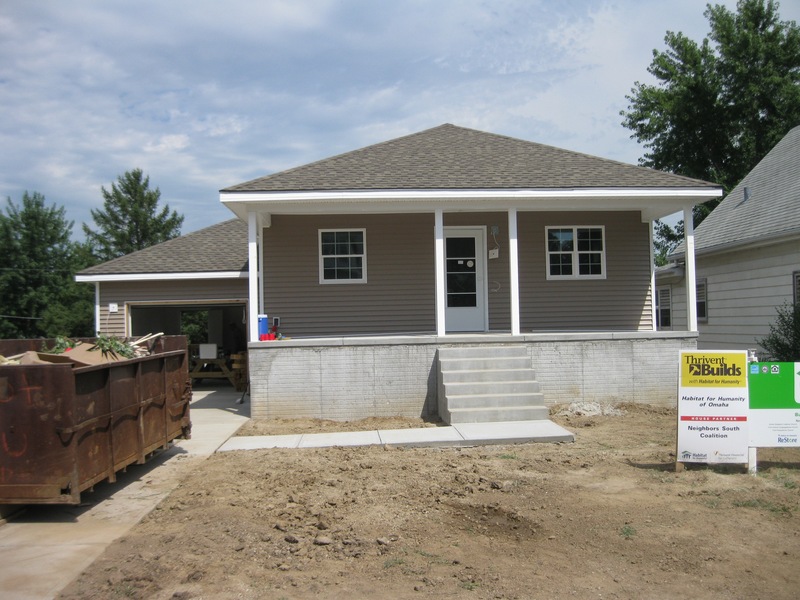 Neighbors South volunteers began work on building its fourteen house for Omaha Habitat for Humanity, the weekend of June 15-16. Now the windows and doors are in and the siding is on. Way to go team! 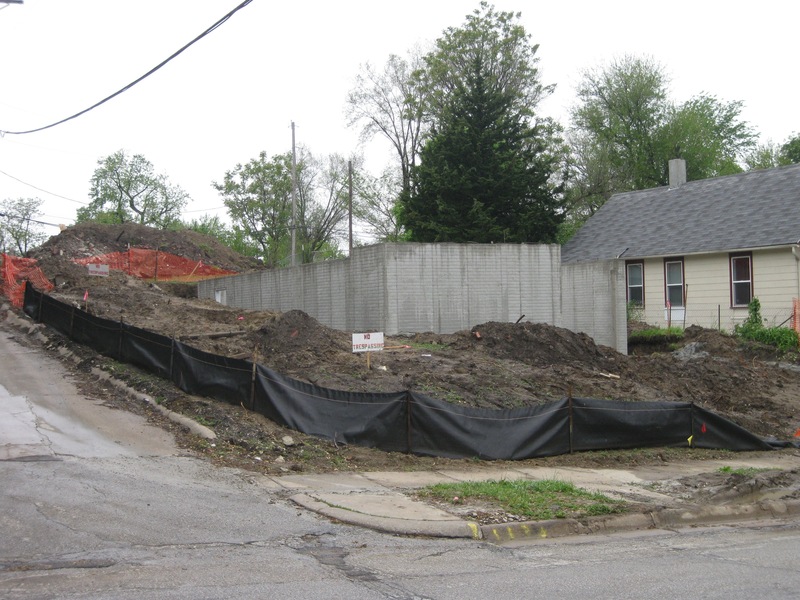 The site for the 2012 Neighbors South Coalition build has been prepared for the work to begin. Take a look at the following pictures. 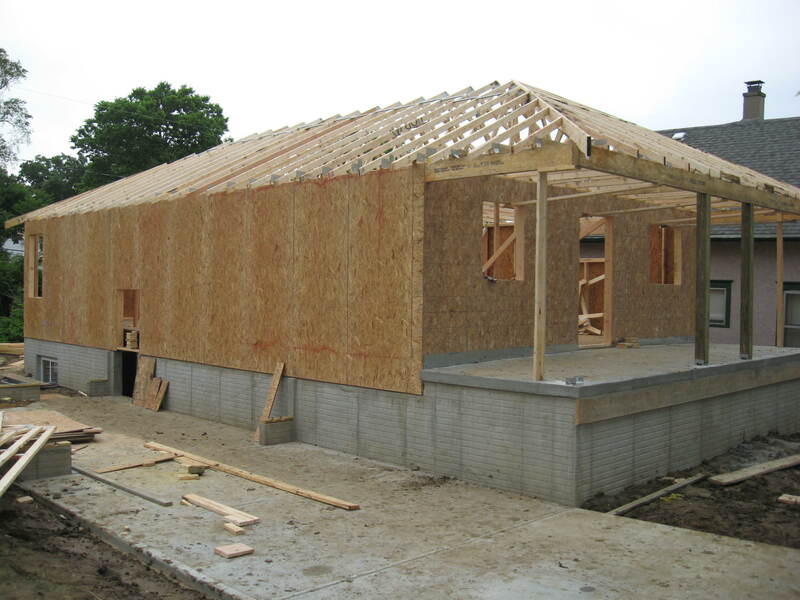 If you would like to join in the fun of building a home for Abdisalam and Isnino’s family. They are Somali refugees. We begin work on June 15. Call Fred Beschorner at 402-889-5431 to volunteer. Neighbors South Coalition was honored at the 18th Annual Volunteer Appreciation Dinner on Friday, March 16. 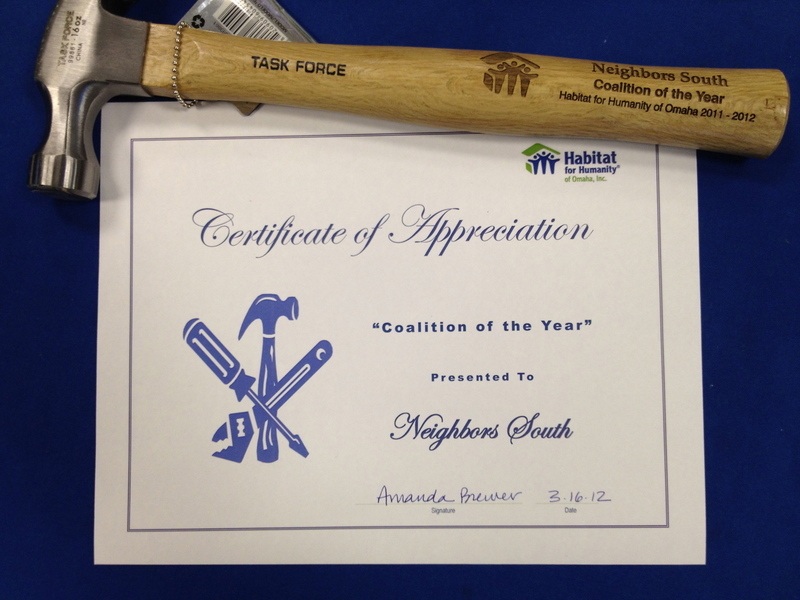 We were surprised to learn that Neighbors South was chosen as the Coalition on the year. Congratulations to all who have helped provide simple decent homes for families. 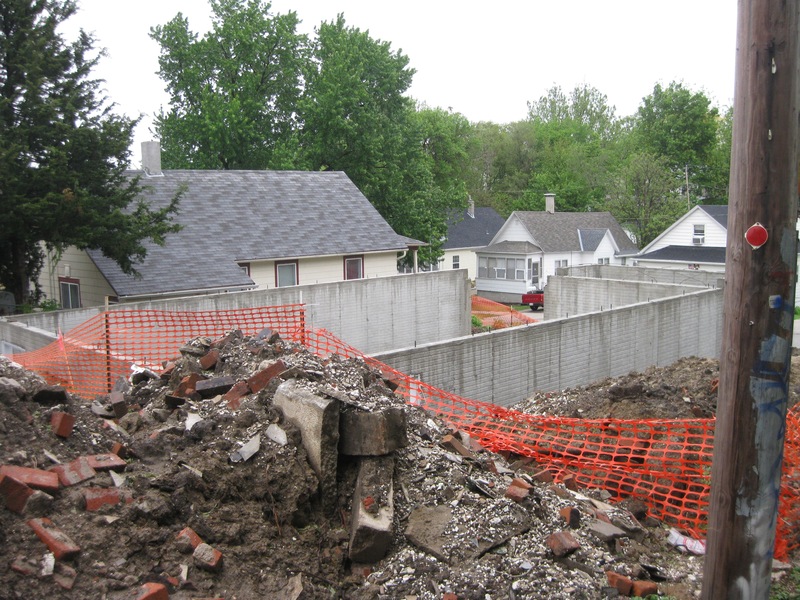 Habitat has selected the site for the 2012 Build for Neighbors South Coalition. 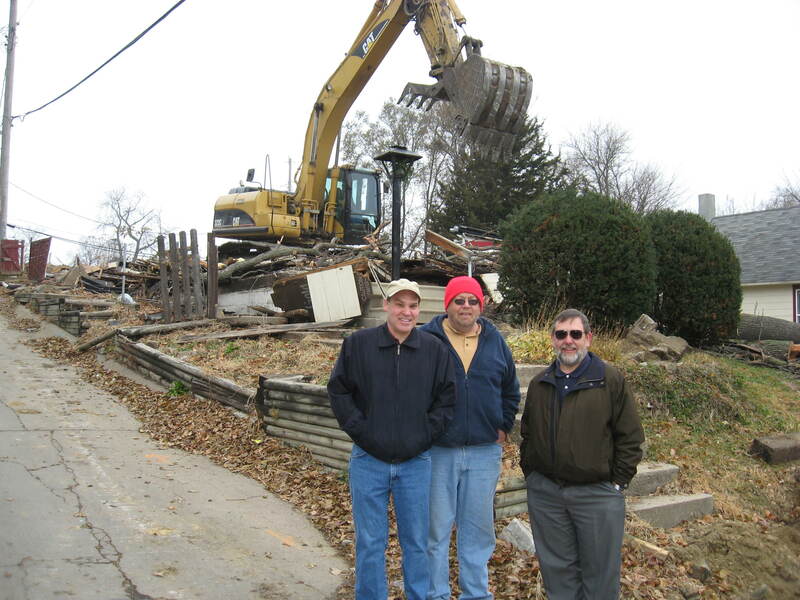 A home damaged by fire was torn down on Wednesday, November 23, at 2460 S 19th St. A new home will be built in the summer of 2012 at this site. 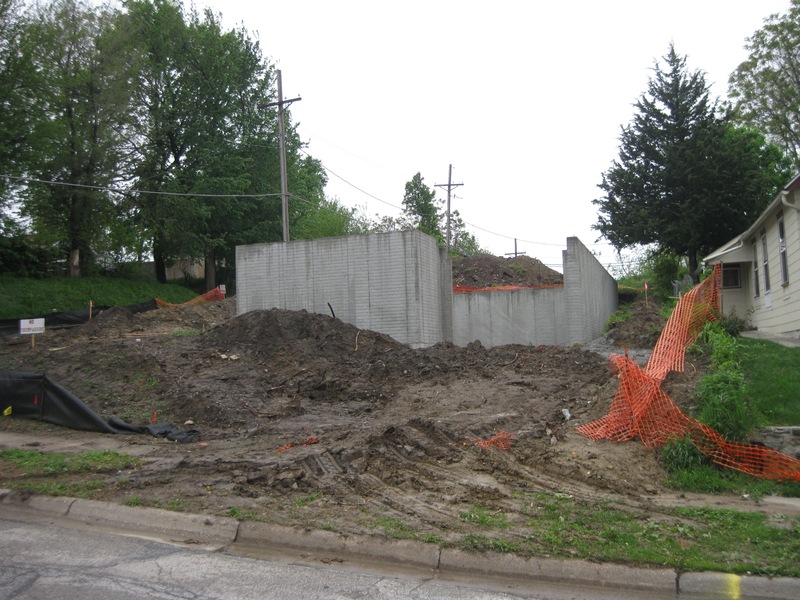 Plan now to help Neighbors South build a new home for a family in South Omaha. 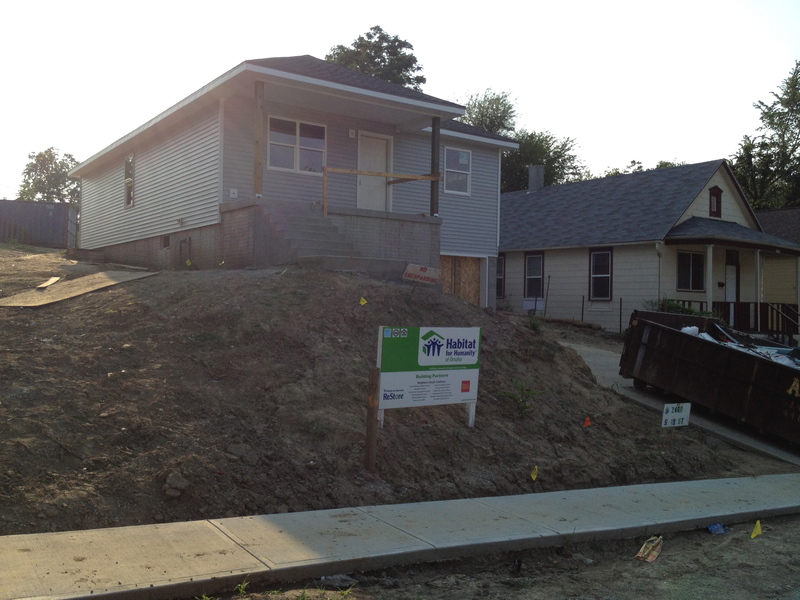 The Neighbors South Coalition has completed its work on the 13th home. Dedication is scheduled for Sunday, September 11, 4 pm at the home. Come on out and celebrate with the family and all of the volunteers that made this new home possible. 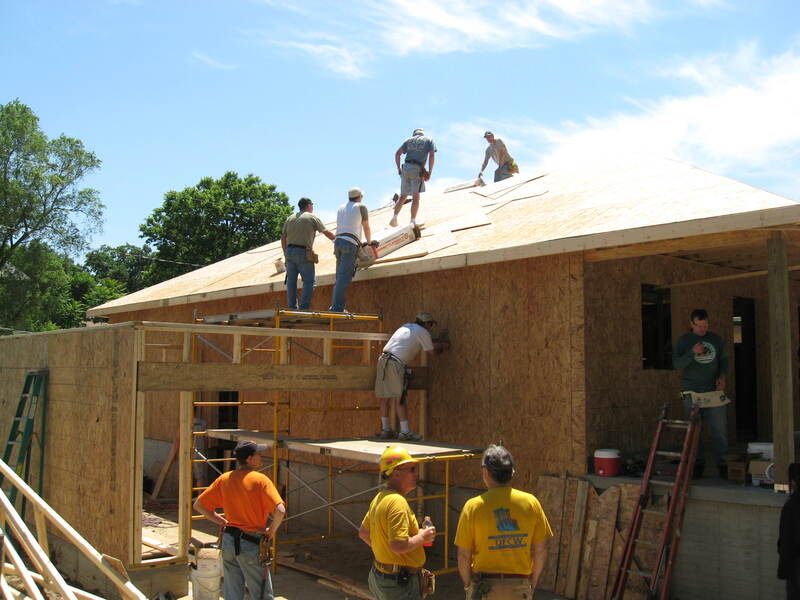 The 2011 Neighbors South Habitat build is underway. This is the thirteen house this coalition has built. Sixteen volunteers came out for the first day. Here is what it looked like as the day ended. The second day is well underway with 25 volunteers hard at work. At mid-day, here is the progress. The work continues each weekend (except July 4th) and we’d love to share in the fun. Come on out! !